First up, you’ll hear a conversation that Bursts had with a refugee seeking asylum in Australia. His name is Walid, he is 24 years old and from Afghanistan. Manus Regional Processing Centre, where Walid is being held alongside nearly 450 other men, is a facility on Papua New Guinea on the PNG Lombrum Naval Base. The processing center, from here out called Manus for short or MRPC, was run up until October 31st by the Spanish multinational company Grupo Ferrovial on behalf of the Australian Government as a way of off-shoring the housing of people seeking asylum. The center was closed October 31st after the Papuan Supreme Court determined the facility unconstitutional in breech of the promise of personal liberty. So, the Australian government withdrew it’s medical workers, shut off electricity and water and food shipments. However, the residents of MRPC have refused to be resettled into other facilities in PNG due to fears of physical harm by members of the PNG Defence Forces, as is alleged to have happened in April of this year, as well as violence coming from local gangs wielding machetes and other weapons. The population of the island is just short of 6,000 people and locals have expressed concern that resettlement would affect their economy greatly. In the conversation, Walid mentions two fellows from the MRPC who were found recently hung by their necks in the jungle near the Processing Centre as a proof of danger the refugees face if they leave the premises. The Obama administration had agreed in 2016 to resettle many of Australia’s asylum seekers. However, do you remember that first presidential phone call that Trump made, where he ended by saying it was a stupid deal and it was the worst conversation ever? That was #45 chatting with Australia’s Prime Minister Turnbull about the resettlement deal for refugees on Nauru and Manus Islands. Cancelling that at the time fed into the issues in PNG & Australia’s national politics with the refugees being caught in the middle as pawns. The U.S. has now apparently changed it’s tune about the Asylum seekers, having applied for whatever “extreme vetting” it was seeking and has taken in 24 of the men and resettling them. I will admit to being a bit ignorant of the situation in Manus that people like Walid are facing, but what I do understand is this: borders are imprisoning some of the most marginalized people fleeing dangerous situations and holding them in dire circumstances. 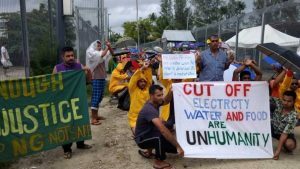 The men at the Manus Regional Processing Centre are refusing to leave for fear of their lives and in hopes of reaching a safer space and are being starved by bureaucracy. And many Australians are voicing a desire to resettle these people on the mainland. We at the Final Straw wish the residents of MRPC the best of luck and solidarity and will continue to air their words as we receive them. Secondly, we are airing an interview presented recently by the Which Side media collective with Sara Falconer and Daniel McGowan about the 2018 Certain Days Calendar for Political Prisoners. Jordan Halliday and Jeremy Parkin host the interview, and range along a wide array of ideas and topics. If you’d like to hear The Final Straw’s conversation with Herman Bell’s daughter in law Dr Kihana Ross which details the incident mentioned in the interview plus some more about his case, you can visit our website. 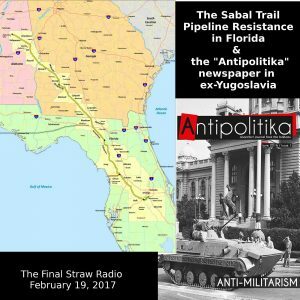 Whichside Podcast is a member of the Channel Zero Network of anarchist podcasts, of which we are as well. 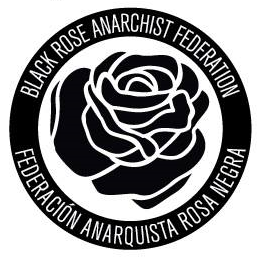 Check out our website for a steady stream of up to date anarchist audios and keep an eye out for our mobile app coming soon. Just a heads up, if you missed it. we launched our occasionally weekly intro to tech security podcast series, Error451 this week with a conversation on safer approaches to burner phones. Check it out and keep an ear out for more! Also, the Anarchist Radio Network just released the November episode of B(A)DNews: Angry Voices From Around The World, which is up on the new A-Radio Network website. Keep up on episodes there. 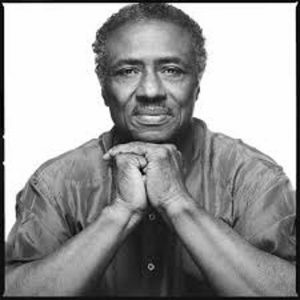 First this week, we had the opportunity to speak with Dr Kihana Mariah Ross, who is the daughter in law of Herman Bell, a former member of the Black Panther Party and a political prisoner who is currently clocking 44 years behind bars. We will speak about recent developments in his case, plus some historical context, and actionable items moving forward. How Best to use Signal? In the second segment of today’s episode, we’ll air another conversation with William Budington, a digital security expert and trainer about the Signal end-to-end text encryption app for smart phones and desktops. Signal, produced by WhisperSys, is an easy to use, free means for folks to avoid one type of surveillance in their day to day communication. The ubiquitous, normalized use of encryption shields the purpose of the use, obscuring whether the practice is to shield illegal activity or not. In the conversation we talk about the human failure side of communication, as well as the informational leakage possibilities of the devices we use to engage Signal app. If you really enjoy the pie-baking/Betty Crocker metaphor, don’t despair, it doesn’t end with this segment. Check out more on this topic in our occasional series, Error451. Stay tuned soon for a conversation with William about burner phones and more. If you have a topic about digital security, devices and programs, surveillance or related topics, leave us a suggestion at thefinalstrawradio@riseup.net ! If you want our pgp key, check our website. Now, it’s my turn for a brief editorial, dear listeners. This is Bursts. I grew up in a part of so-called California known as Sonoma County, lands stolen from the Pomo and the Miwok peoples first by the Spanish, then by Mexico and Russia and then the U.S. I lived there from the mid-1980’s through 2009 and consider it my home in a way I could no other place. The rolling hills, the foggy mornings, the Coastal Live Oak groves, the nasty but 100 year old Eucalyptis groves, the early evening sky that turns a goldish orange into purple, the Manzanita, the people, the ocean breeze coming out from Bodega. These are things that I remember fondly from the deeply damaged yet still beautiful biome I called home for most (and definitely the more formative years) of my life. This has been a year for spectacular disasters around this hemisphere, with a record 10th hurricane now appearing in the Carribean and southern U.S., 2 major earthquakes rocking Mexico and now the fires in Northern and Southern California. The fires in the north, which I’ve been paying more attention to because they QUITE literally bring home to me a sense of devastation I still haven’t been able to digest from this distance, have been whipped up by winds, a seasonal dryness out of the ordinary and fed by the aftermath of a wet winter that created a ton of easy-to-burn fuels. California has long been racked by fires, but never this many deaths and never have they consumed large parts of cities as they have with Santa Rosa. Thousands of homes have been turned to ash, monuments standing over a hundred years are cinders, human and non-human animals have been killed, damaged and displaced. California is yet another part of the world feeling the first hand effects of anthropogenic climate change, after years of over-taxing it’s water levels with large scale and animal and food agriculture, it’s manicured industrial lawns, the barely regulated weed industry booming, the building of human settlements in the middle of deserts and the idea promoted by high levels of industry and state that as the 6th largest economy in the world it could buy itself climate chaos. Day by day, year by year, this is proven more and more a delusion. But I digress. I’d like to give a shout out to the brave folks doing search and rescue in my home away from home, the neighbors who look out for each other, that roused each other from sleep to escape the fire storms, who shelter and feed each other. Also to the fire professionals who are working to fight back the fires. An element of this that is under reported, of course, is the fact that over a thousand prisoners of the state of California and it’s included counties, are putting their lives on the line for $1 to $2.56 a day to train and then fight these blazes. That can be compared to the $31.85 an hour of the median hourly wage for non-inmate firefighters. I would like to bring this up because as the climate becomes more chaotic and the ever-tighter squeeze of austerity capitalism turns further and further away from more sustainable and stable incomes like unionized firefighters this continues a nasty trend. Putting prisoners on the fire lines to fight the blazes, while more deadly for them than other modes of work, arguably offers them a potentially more meaningful and lucrative engagement with community service. This also fuels the profit motive of governments bent on incarcerating mostly poor communities of color, often people with chemical dependencies and neuro-divergencies the state can’t be bothered to treat but to stick them in a concrete and steel cage. 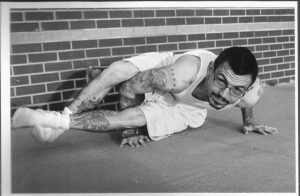 More prisoners means more low-pay and expendable firefighters who’s crime was to be born the wrong color or class in the age of mass incarceration. I don’t bring this up to denigrate those risking themselves to save lives and homes, whether a prisoner or not, but to point out that this is not how a community organizes itself for it’s members, this is the logic of capital and thus streams value to the top of the pyramid. My heart goes out to those who suffer at the hands of these fires. 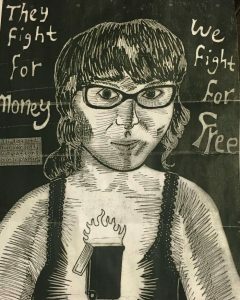 Let’s fight for futures where we are better prepared, where we don’t employ slave labor to fight them, and everyone has what they need to live in true community, which means true accountability to the impact of our survival on the non-human environment with which we share this awesome world. 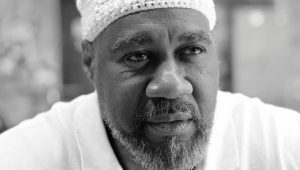 Secondly, our comrade and sometimes contributor Disembodied Voice shares several short interviews with members of politicized prisoner Keith Malik Washington’s support team. Comrade Malik, as he is known to his friends and supporters, is currently in solitary confinement in Texas at Eastham Unit, where he was placed as retaliation for coordinating a work stoppage during last year’s nationwide prison strike on September 9th. 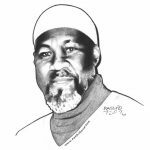 In addition to his work around the End Prison Slavery movement, Malik is a member of the Incarcerated Workers Organizing Committee of the IWW and the Deputy Chairman of the New Afrikan Black Panther Party prison chapter, and is active in the Fight Toxic Prisons campaign. 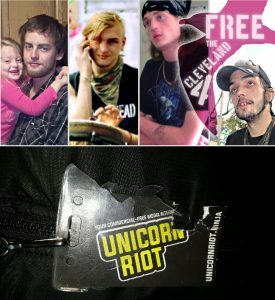 Malik has an extensive network of support nationally and even internationally, both within and outside of the anarchist community. The interviews we will share today show the diversity of backgrounds, motivations, and stories that go into forming a support network for those engaged in revolutionary struggle while incarcerated, which is to say, from behind enemy lines. 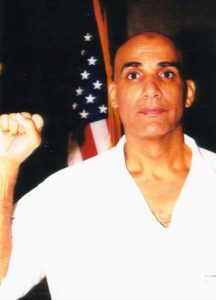 The conversations cover a wide range of topics, including a look at the range of issues prison activists like Malik work around; the kinds of relationships prison activists form with their supporters on the outside; the importance of being in solidarity across identities and political labels; and what a revolutionary abolitionist movements means to the people doing this work. As Malik would say: DARE TO STRUGGLE. DARE TO WIN. ALL POWER TO THE PEOPLE. The audio for these interviews is a bit rough because the interviews were done somewhat on the fly. Stay tuned (look for?) a transcript of these interviews in order to make comprehension a bit easier! It should come out sometime within the next two weeks. Dear listeners, we would like to invite you to give a listen to the newest edition of the International Anarchist Radio Network’s monthly podcast, B(A)D News: Angry Voices From Around The World, fresh for September 2017. This 4th episode, available at our website, is about 45 minutes of updates from projects based in the UK, Chile, Greece, the Aegean Sea, Germany, El Salvador and from us! Feel free to give a listen to ARadio Berlin’s Charlottesville reportback episode, done with none other than your host William Goodenuff. This was geared toward an international audience, so the news may not be new to a US based listening crowd, but if you want to hear why one of your hosts has been a lil absent for a sec, this is why. Everything’s fine tho, and I’ll be back to opine over the airwaves next week.